Google have yet to officially announce a date for the UK launch of the Google Chromecast however there has been the odd occasion Amazon have been able to deliver the Chromecast around the world if only for short periods of time. I managed to pick one up and here is the unboxing and basic operations. I must have spent about an hour trying to get this to work, the unboxing video is more of a highlights video if anything. 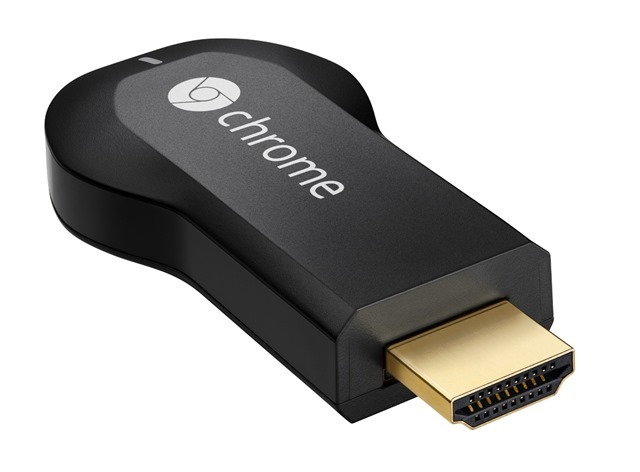 Google’s Chromecast is a simple way of streaming web video to the big screen thanks to being easier to use and slicker than your existing smart TV, set-top box or games console. The HDMI dongle has already launched in the US, and feedback has been overwhelmingly positive. Google has promised it will launch in ‘other countries’ soon, but as of yet, there’s no news on its exact price in the UK or when it will actually launch. The mobile industry seems to be full of leaks at the moment and there’s more today for the rumoured Nokia Lumia 1520 aka ‘Bandit’. We’ve seen previous leaks about upcoming Nokia devices and a few weeks ago we heard that Nokia would be releasing 6 or so new devices at Nokia World on the 22nd October. It’s possible that one of these new devices could be the 1520 phablet device. Once again the notorious tweeter, @evleaks, has released the main specification of the Nokia Lumia 1520 citing that it will have a 6 inch full HD screen, quad-core snapdragon 800 processor, 2GB RAM, 20 MP camera and come with either 16 or 32GB of onboard storage. @evleaks also says that the device will come in black, white and yellow although other leaked images claiming to be of the 1520 have shown the device clad in blue. The 1520 is also expected to feature the Qi compliant wireless charging technology. Qi, developed by the Wireless Power Consortium for inductive electrical power transfer over distances of up to 4 cm. Also expected to be announced this week is the Lumia 2520. 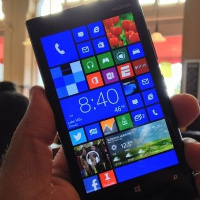 Tuesday is going to be a very busy news day with announcements coming from Nokia World, Apple, Google and Microsoft. Have I missed anyone? We’ll be here with the news as we get it. These days we all have multiple mobile devices at home that need to be charged on a regular basis. Whether it’s an iPhone or Android Smartphone or a tablet of some kind I suspect that many households have an area somewhere that you’ll find multiple chargers and a tangle of cables. That’s where the Griffin Powerdock 5 comes in. Capable of charging up to 5 devices at the same time it delivers up to 10 watts of charging power. 5 USB sockets line one side of the unit while a series of clear plastic dividers allow you to stand each device in its own slot. 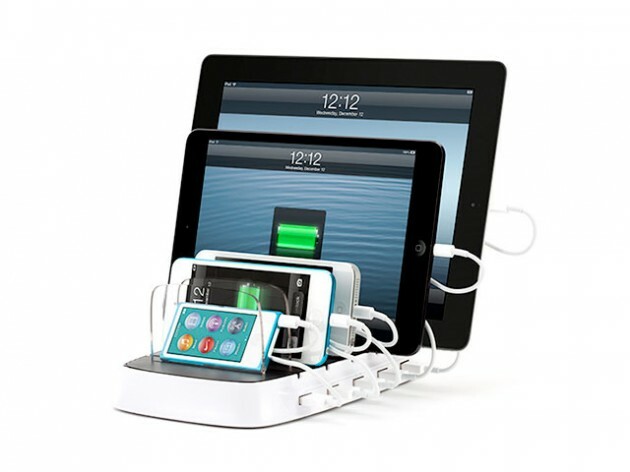 Looking something like a 21st century toast-rack the PowerDock 5 can charge anything that has a USB cable and with the 5 spaces it should prevent the pamily arguments over who’s turn it is with the charger! Here’s a quick video so that you can see the unit a bit more clearly.